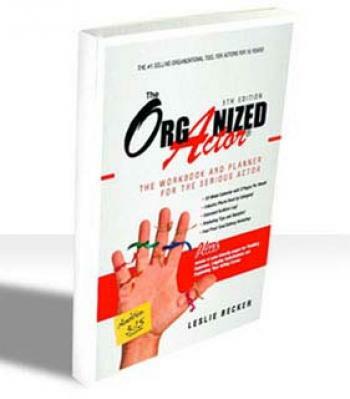 The Organized Actor (Paperback) | The Drama Book Shop, Inc.
For more than 20 years, The Organized Actor has remained the #1 selling organizational tool for actors. Now in its Sixth Edition, The Organized Actor Workbook and Planner for the Serious Actor was the first book of its kind, created in 1994. It features an Audition Log, Income and Expense Tracking, Submission Log, Goal, Setting, Marketing Tips & a 52-week "fill-in-the-date" Calendar to keep your career on track at all times!